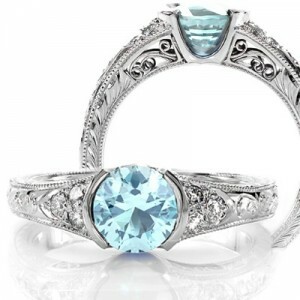 Here on our blog at Knox Jewelers, we’re always trying to introduce you to the latest and greatest in jewelry. For an industry with such a rich history as ours, it may come as a surprise that there are new innovations constantly on the horizon. New gemstones come into fashion, go out of fashion, come back again – there’s always something new and exciting happening. One gem in particular has recently gained popularity on the market: it’s called Morganite, and it’s truly a stunning stone. It comes in delicate pastel shades of pink, rose, peach and salmon. Let’s now take a look at the back story of this remarkable gem and see how you can incorporate it into some of our handmade, exquisite designs. No doubt you’ve heard of a man named J.P. Morgan. You probably associate the name with one of the most renowned and (according to some people) infamous financiers in American history. But did you also know that he is the namesake for Morganite? George Kunz proposed the name to honor his friend for donating funds for the promotion of the arts and sciences in the nation, and to represent J.P. Morgan’s gem-collecting ventures. Morganite assumes many hues of pink, but the colloquial term “pink emerald” is not accepted by professional regulatory bodies and trade associations in the jewelry industry. Rather, morganite is a type of beryl, and is distinct from its sibling the emerald (another gem which is also derived from beryl). Due to still being relatively unknown to the public, morganite has many large specimens available on the open market. 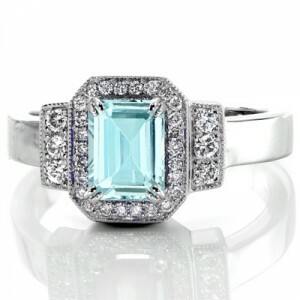 We’re definitely excited about showing off this fantastic, underrated gem to our customers here at Knox Jewelers! If you’re planning to invest in a morganite center stone, there are a couple of things you’ll want to keep in mind. First of all, morganite is somewhat less durable than your average diamond or sapphire. Because of this fact, you’ll want to be careful when using it in a ring design – we all know how rings can be prone to certain types of accidental damage. As for cleaning and caring for morganite jewelry, here are the basic principles. Firstly, you’re going to want to be really careful if you’re incorporating it into a ring. We said this already, but it definitely warrants repeating. Secondly, as far as cleaning is concerned, all you need to use – in fact, all you should use – is warm, soapy water and non-abrasive cloth. Do not expose your morganite jewelry to any harsh chemicals, as these chemicals are quite capable of causing major damage to the stone. Morganite is a stunning addition to any piece of jewelry, and it can truly add a unique flair not found among other gemstones. We recommend a white or rose gold metal base to complement a morganite stone, though platinum as a base also looks amazing. Either way, you can’t go wrong. If you find that you prefer a different kind of metal, we’re here to help you make it a reality for your morganite engagement ring. Any of our handcrafted designs are suitable as a host for a stunning morganite gemstone. Be sure to check out our entire inventory at Knox Jewelers, including our unique engagement rings, wedding bands, and more. 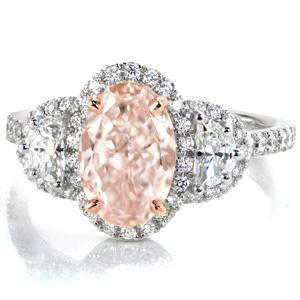 You’re bound to find a design that truly looks amazing in conjunction with a morganite center stone. We’re also happy to recommend one for you, or design one completely from start to finish just for you. We’re Here to Help: Get in Touch with Us Today! Do you have any questions about morganite? If so, the friendly staff at Knox Jewelers are here to answer them. We’ll walk you through the whole process of creating a custom jewelry design for you or your loved one, and we’ll make sure you are able to design the perfect piece. Our hand-tailored and client-oriented design process will put you in the driver seat, and we know you’ll be impressed. Get in touch with us today to learn more about designing your very own morganite jewelry. 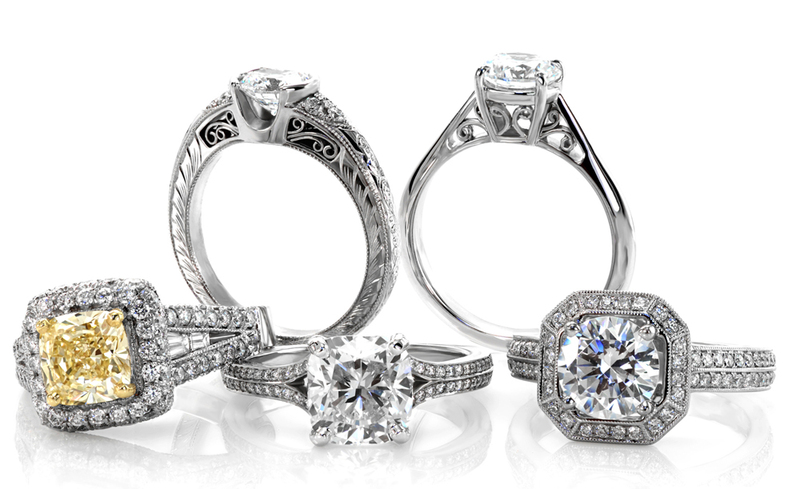 We look forward to meeting you and helping you create your dream ring!